From: “4. 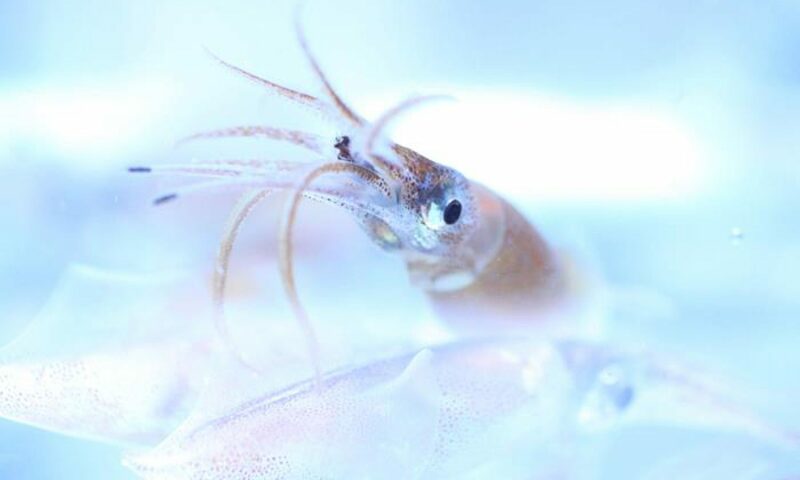 A brief history of the symposia and workshops on Pacific Squid” in Jumbo squid in the eastern Pacific Ocean: a quarter century of challenges and change. (2016). P. G. K. Rodhouse, C. Yamashiro, & J. Arguelles. Fisheries Research, 173, Part 2, 109 – 112. “In response to the growing squid fishery in the southeast Pacific in the 1990s, with high levels of production in Peru, a scientific consultancy on the biology and fishery for D. gigas was undertaken in 1997 and 1998 by PGKR at Instituto del Mar del Perú, Callao. This was funded by the European Union under the VECEP (Venezuela, Colombia, Ecuador and Peru) technical cooperation programme. A framework for research on fishery biology of D. gigas was developed and it was recommended that regular international scientific meetings should take place between researchers from relevant South and Central American countries to disseminate, share and discuss new information and to link squid researchers. The main focus of these meetings was to be on the biology, ecology and management of Pacific squid fisheries, with special emphasis on environmental and fisheries driven spatial and temporal changes in squid stocks and the impact of these changes on other marine populations. Since the recommendation was made in 1998 six international scientific symposia have been held between 1999 and 2014 in Peru, Mexico and Chile. These have focused on D. gigas because of the increasing importance of the fishery in the eastern Pacific and its growing importance in international markets. Leading scientists from research institutions in Russia, Japan, the UK, Spain, Mexico, the USA, Chile, Ecuador and Peru have participated in these symposia which all received the support of the Cephalopod International Advisory Council (CIAC). The results of the past symposia have been published in Fisheries Research (Rodhouse et al., 2001; Rodhouse et al., 2006). At the latest symposium, held in November 2014 in Lima, there were 80 participants including scientists, students, businessmen and fishers (Figure 1). Five keynote lectures, 39 oral presentations and 26 posters were presented, focusing mainly on D. gigas but other ommastrephids and loliginids of commerial interest or potential interest were included. For the first time the potential for octopus fisheries in the eastern Pacific was considered. Of the presentations made, 9 papers are published in this special issue of Fisheries Research. Symposium programme and abstracts: Libro de Resumenes Ampliados. (1999). Tomo I. 562 pp. Rodhouse, P. G. K., Yamashiro, C., & Arguelles, J. 2016. Jumbo squid in the eastern Pacific Ocean: a quarter century of challenges and change. Fisheries Research 173, Part 2, 109 – 112. Rodhouse, P.G., Waluda, C.M., Morales-Bojorquez, E., Hernández-Herrera, A. 2006. Fishery biology of the Humboldt squid, Dosidicus gigas in the Eastern Pacific Ocean. Fisheries Research 79, 13-15. Rodhouse, P.G., Yamashiro, C., Goss, C. 2001. Squid fishery biology in the Eastern Pacific coastal upwelling system. Fisheries Research 54(1), 143 p.